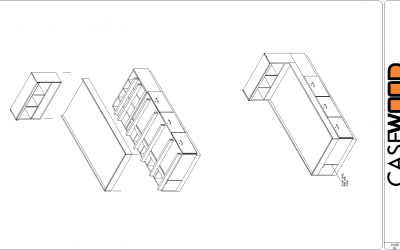 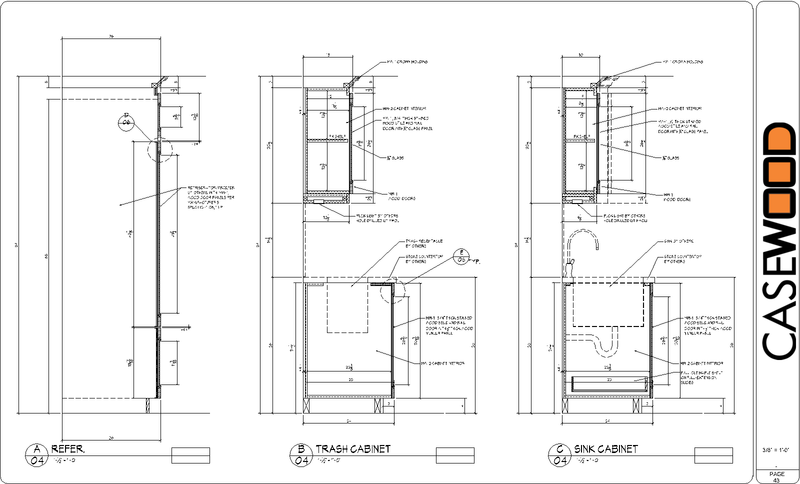 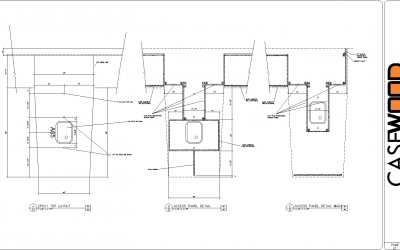 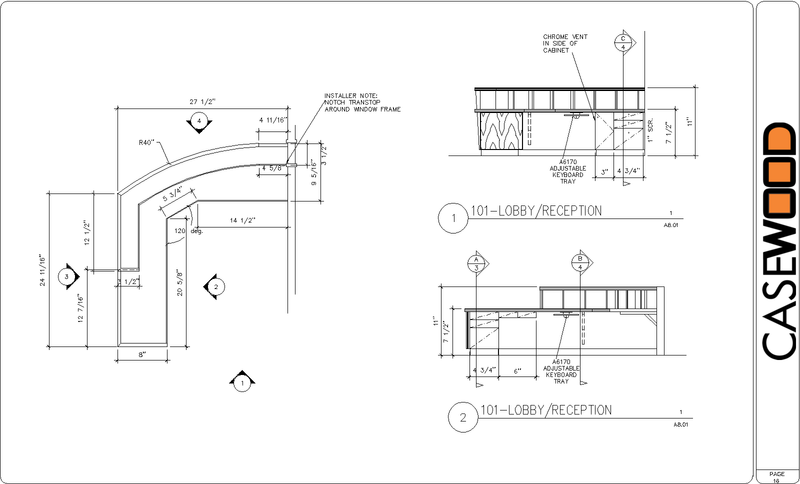 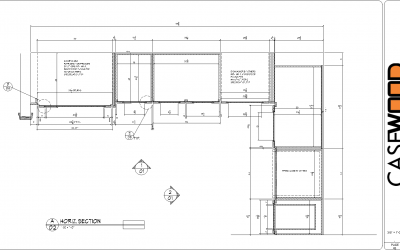 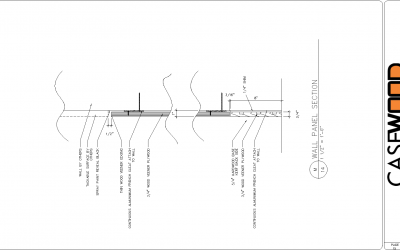 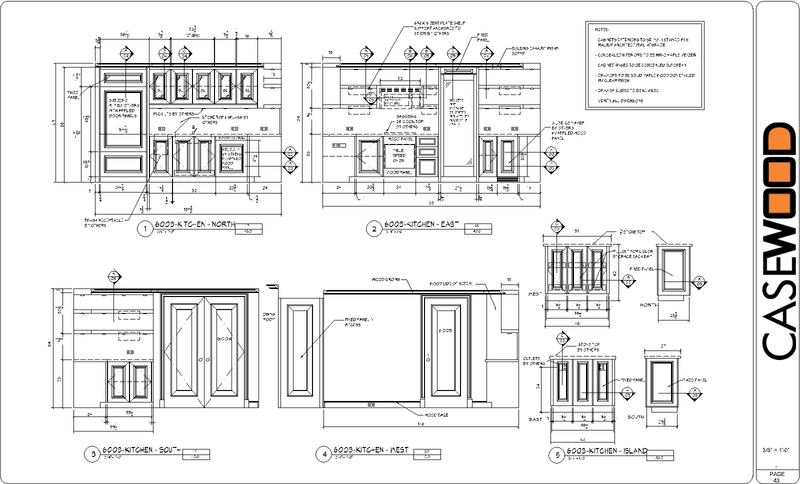 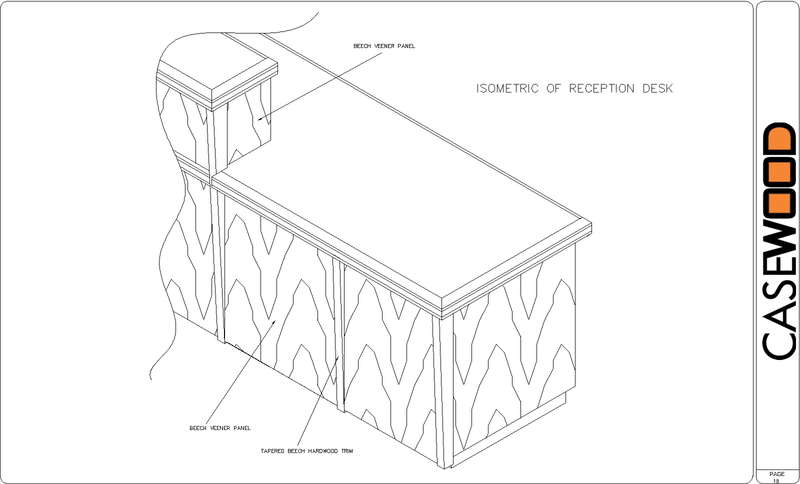 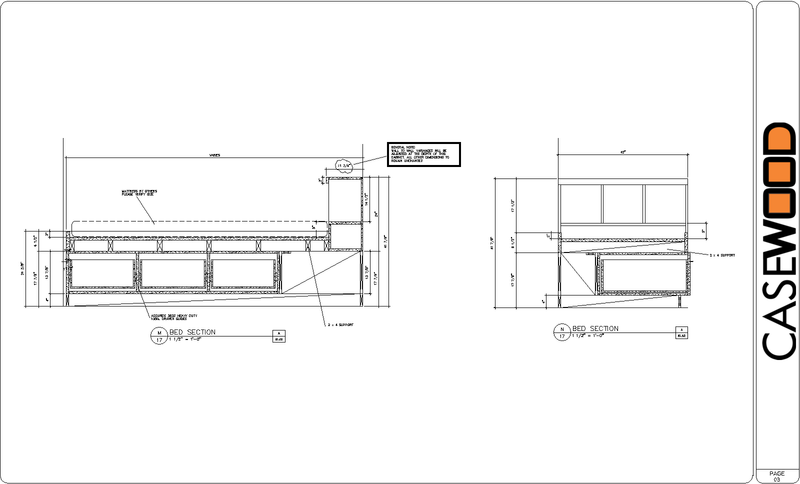 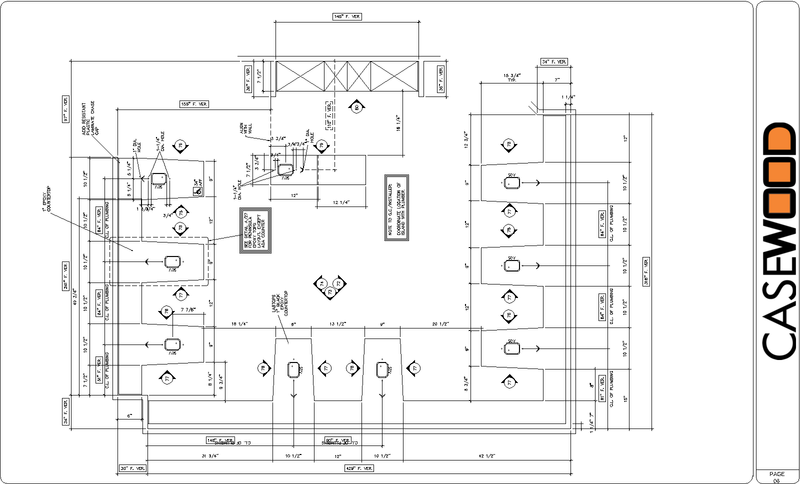 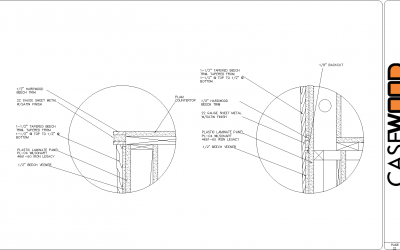 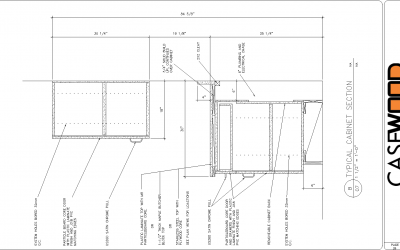 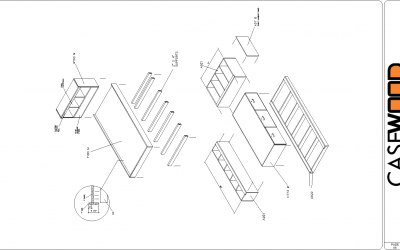 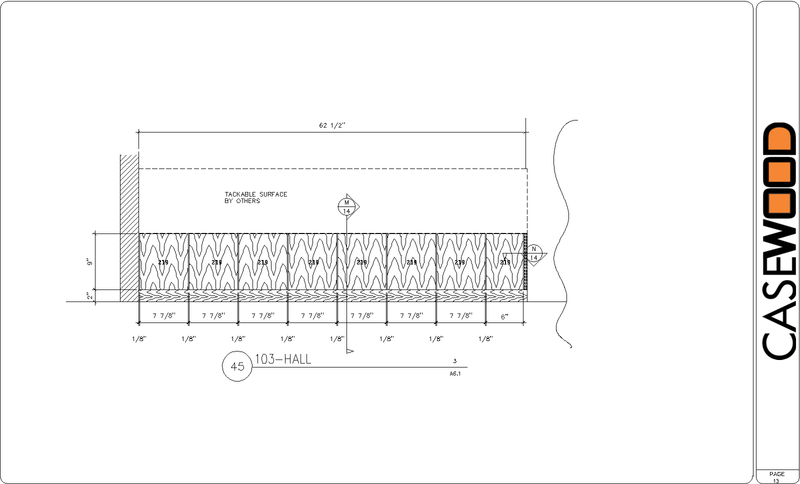 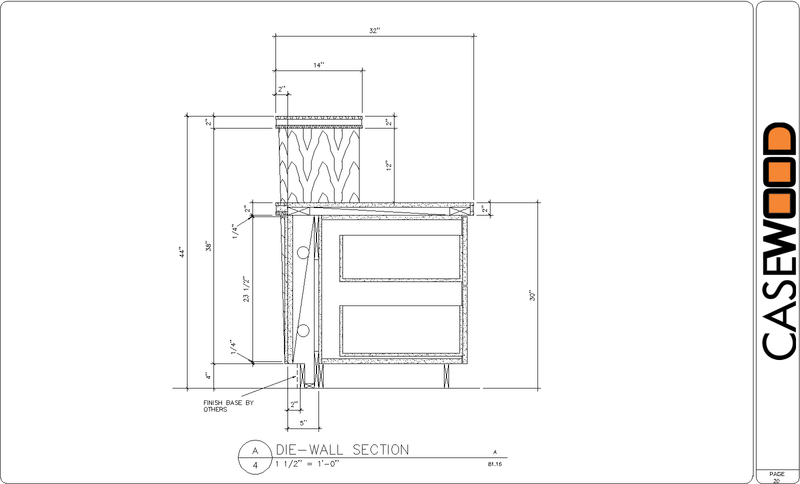 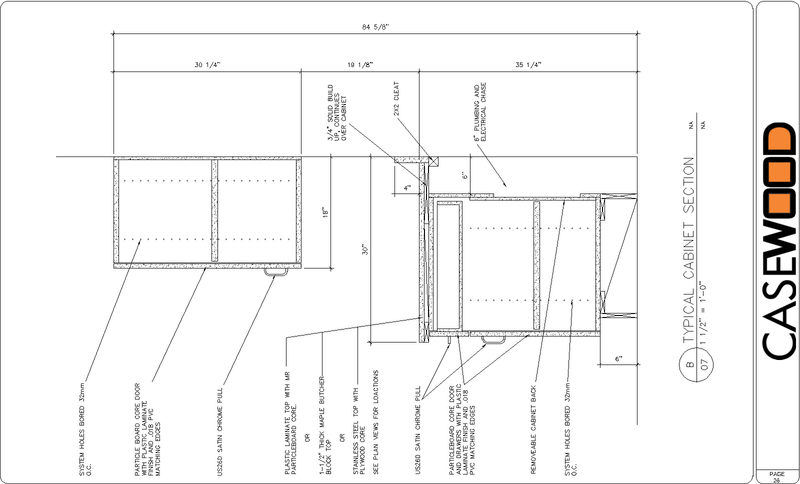 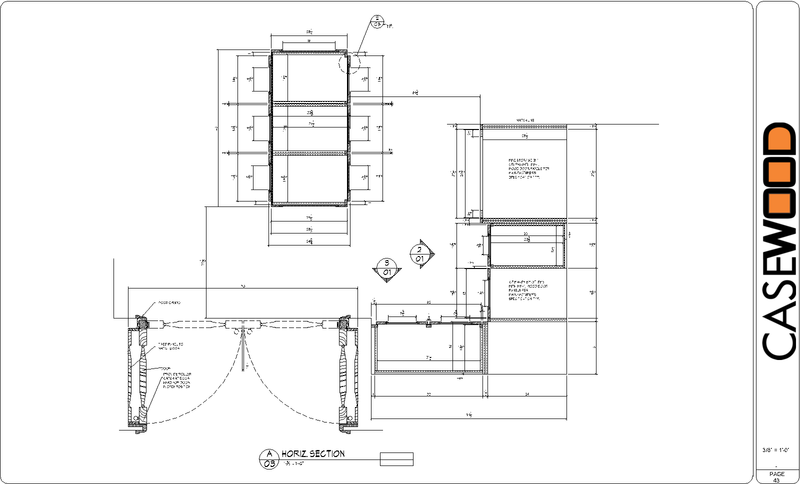 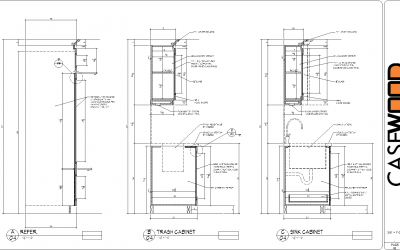 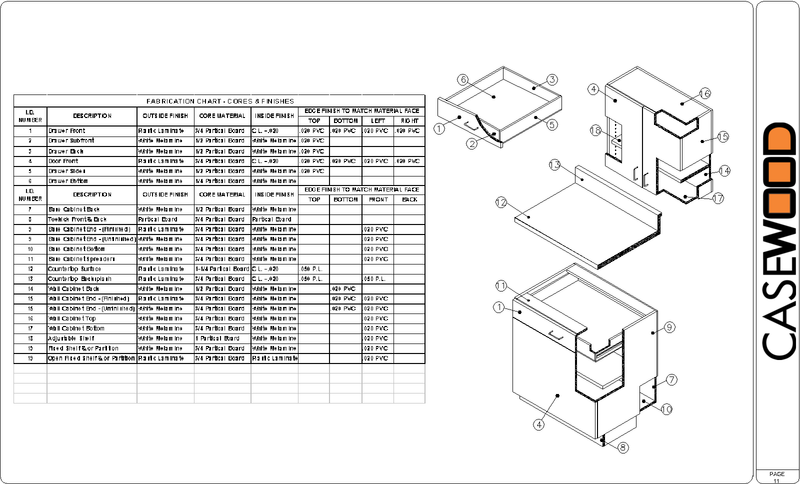 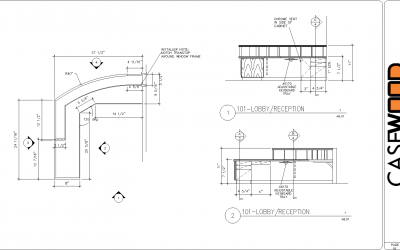 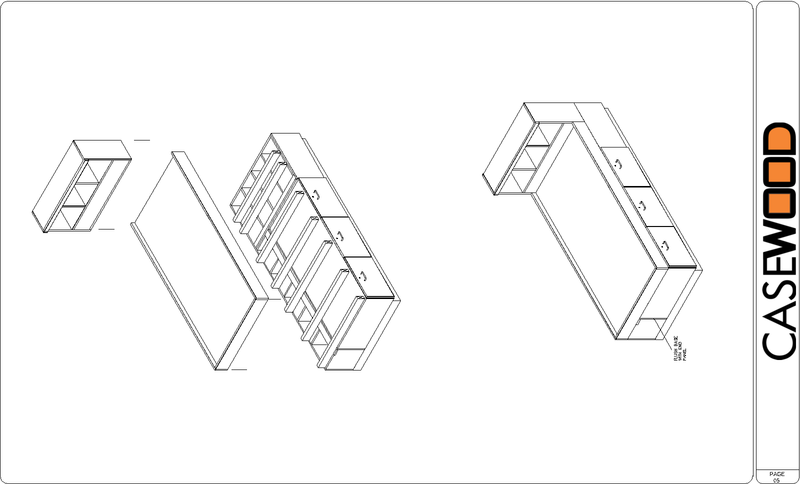 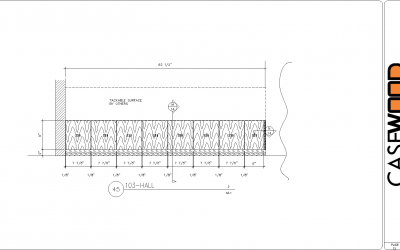 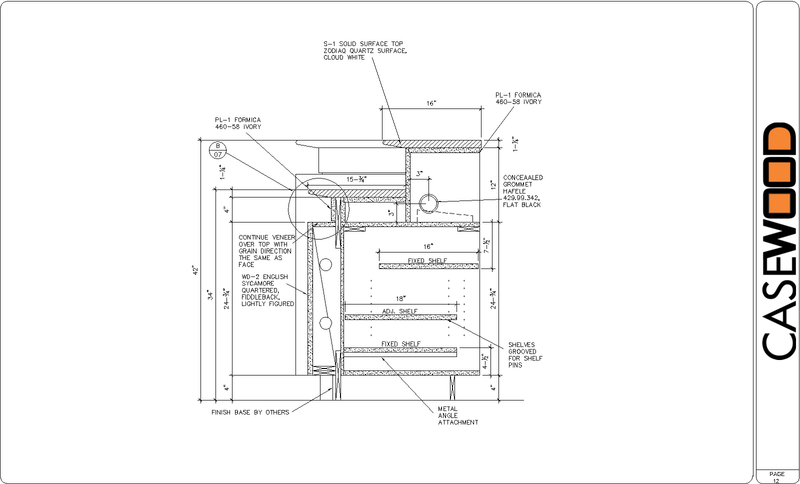 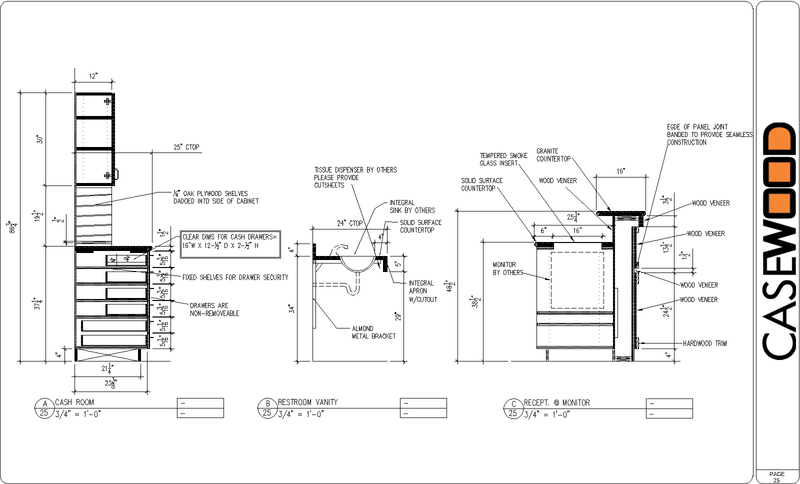 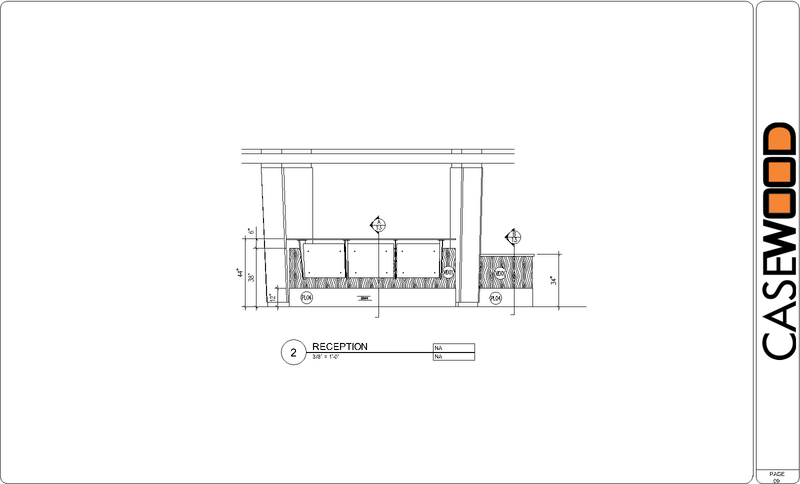 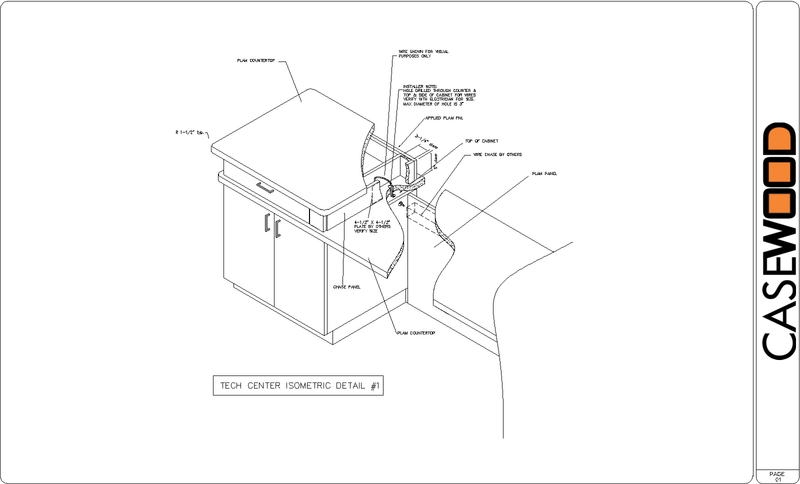 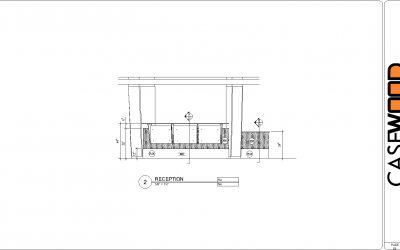 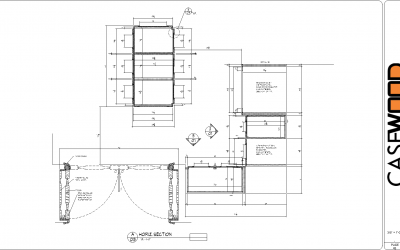 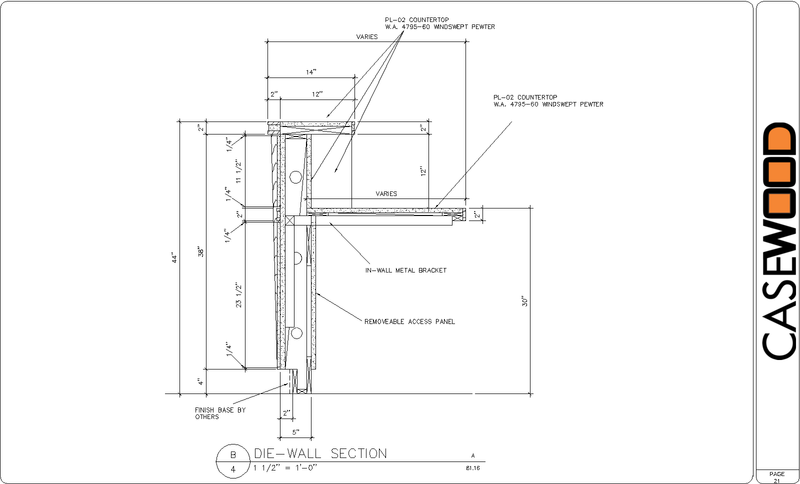 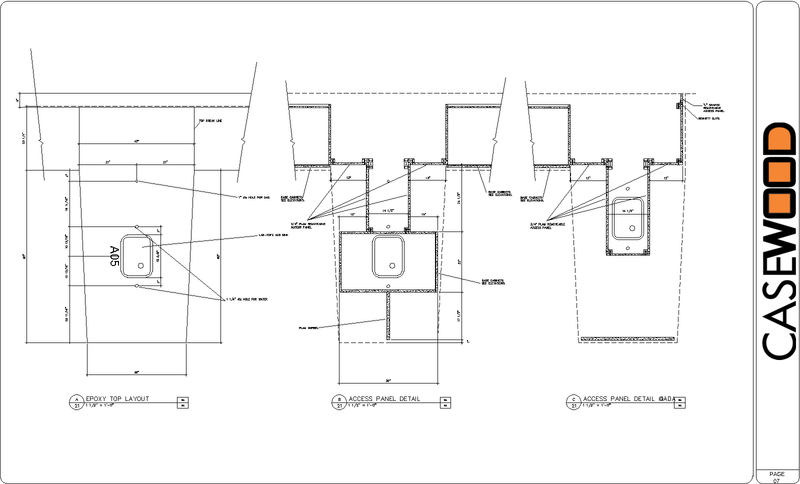 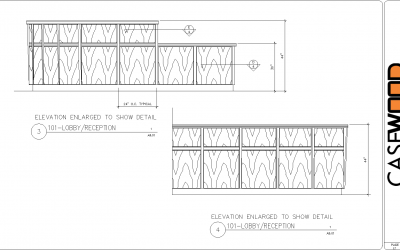 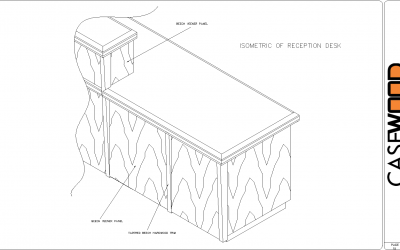 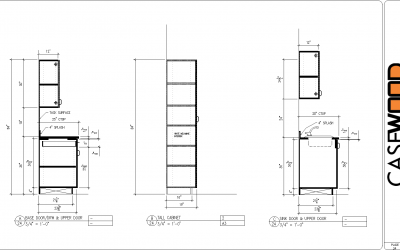 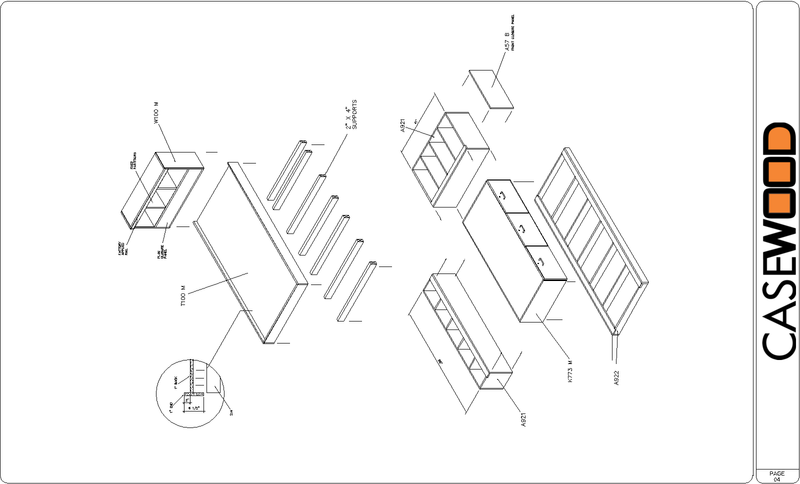 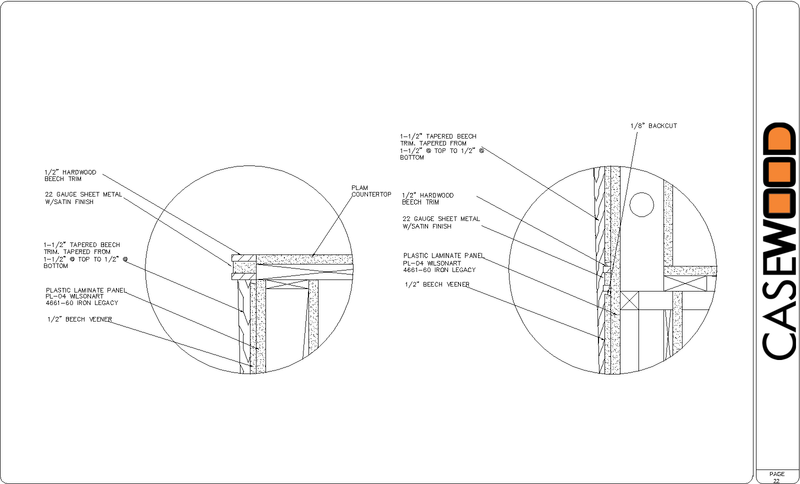 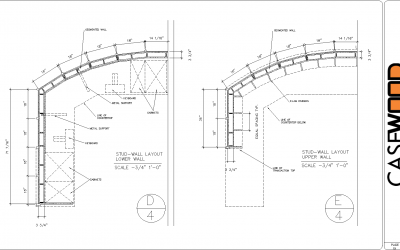 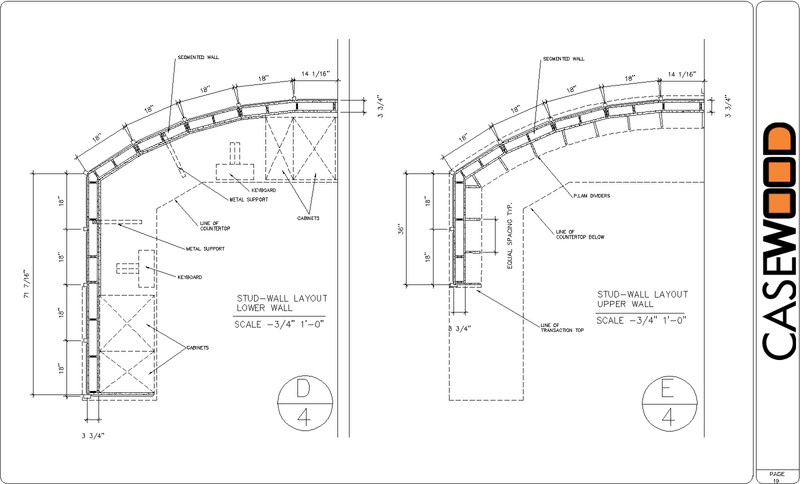 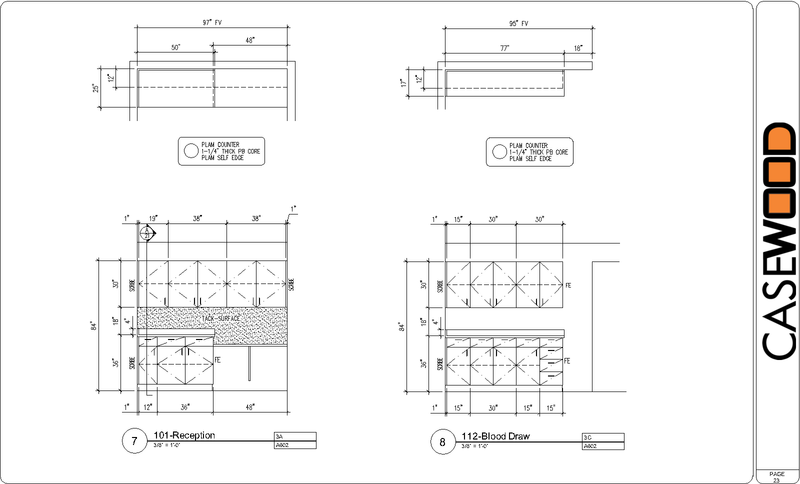 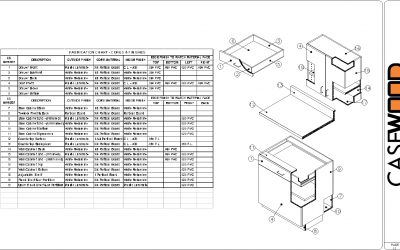 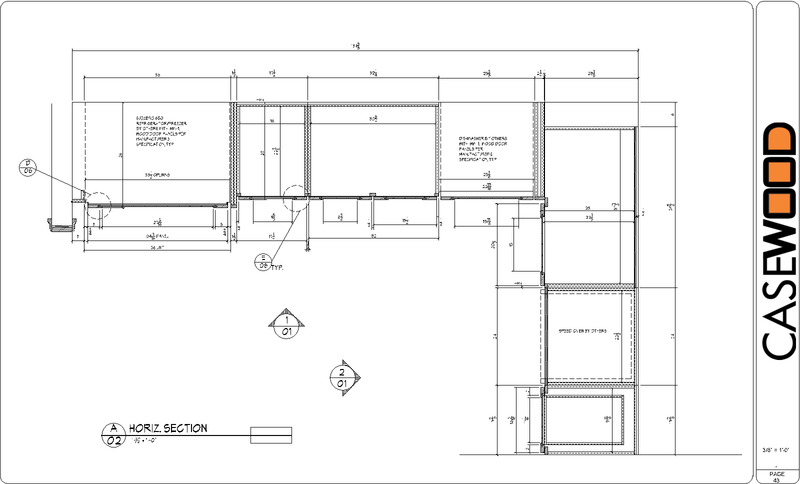 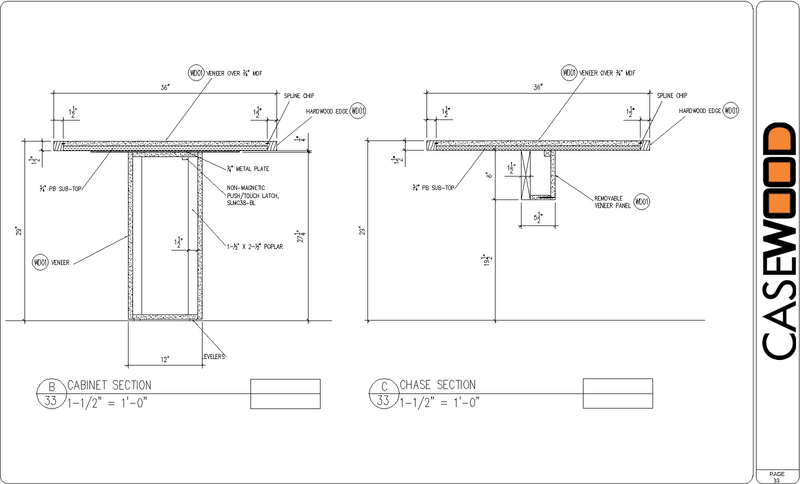 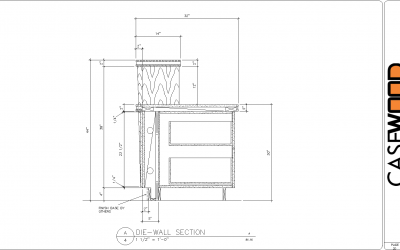 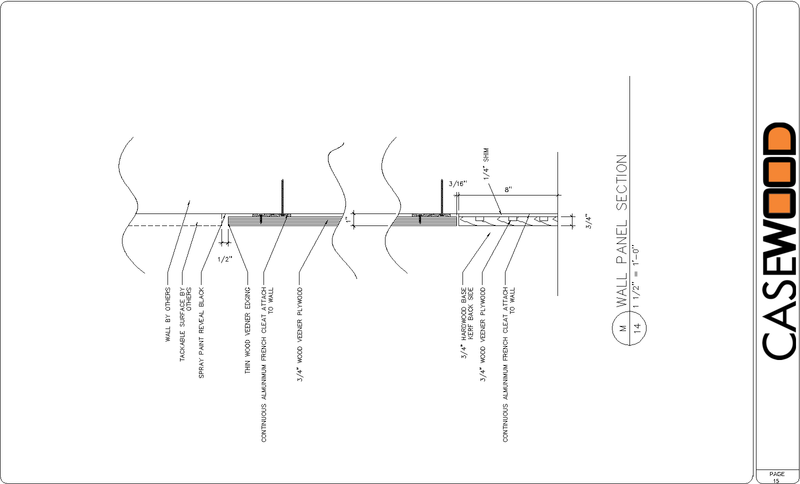 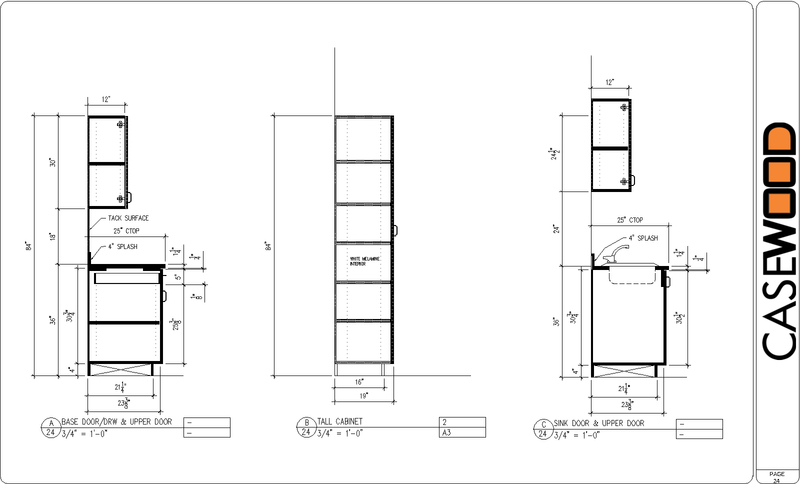 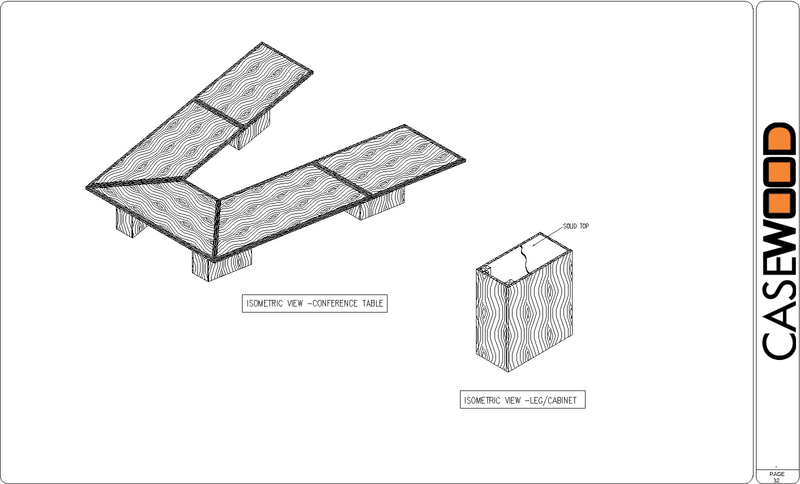 Please see some of our sample drawings below. 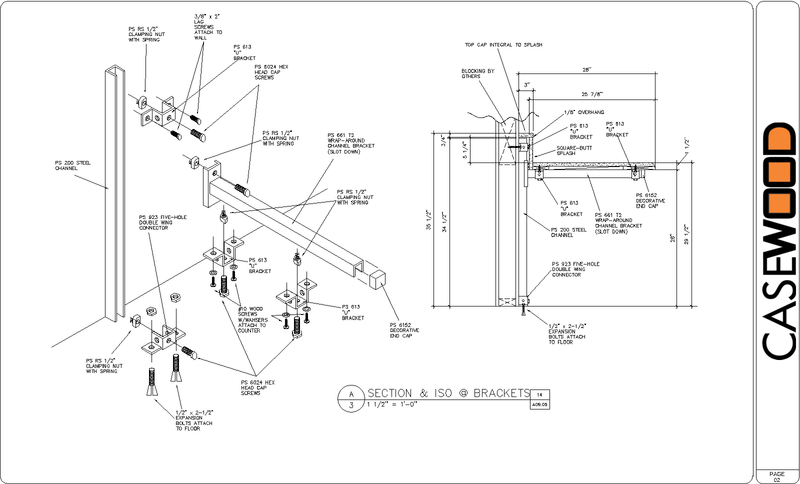 Please note that these drawings have been done for various manufacturers. 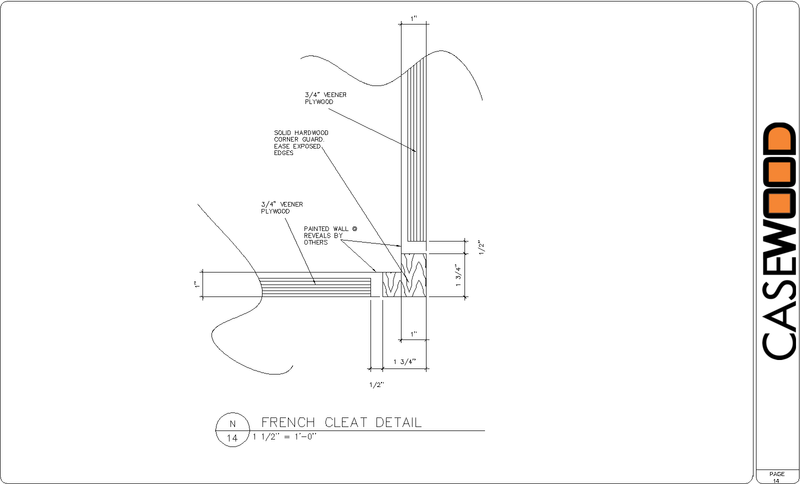 There are different degrees of detail and different standards for each one. 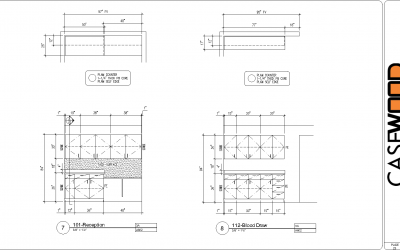 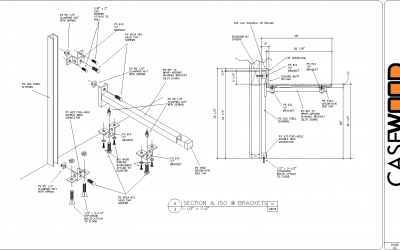 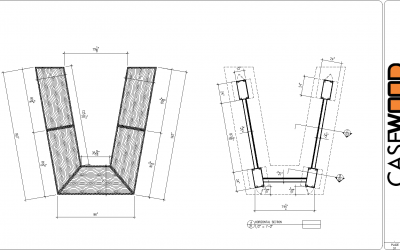 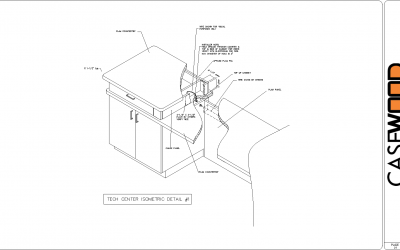 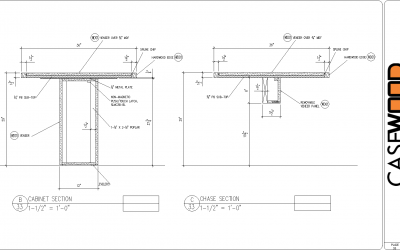 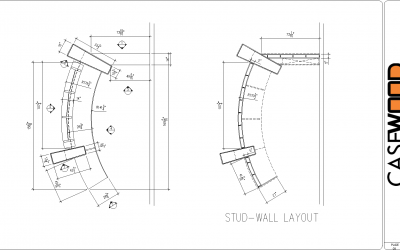 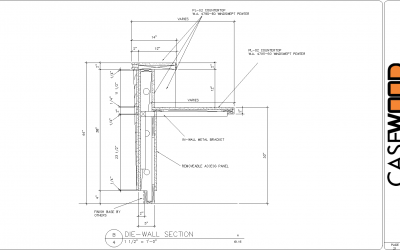 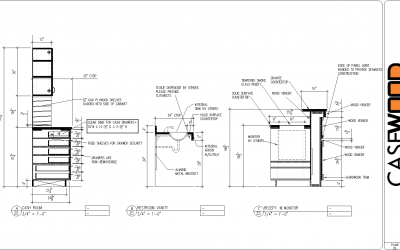 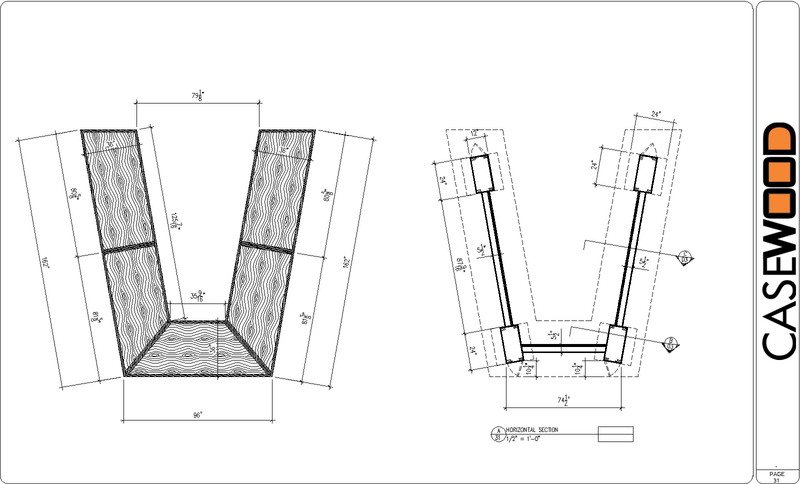 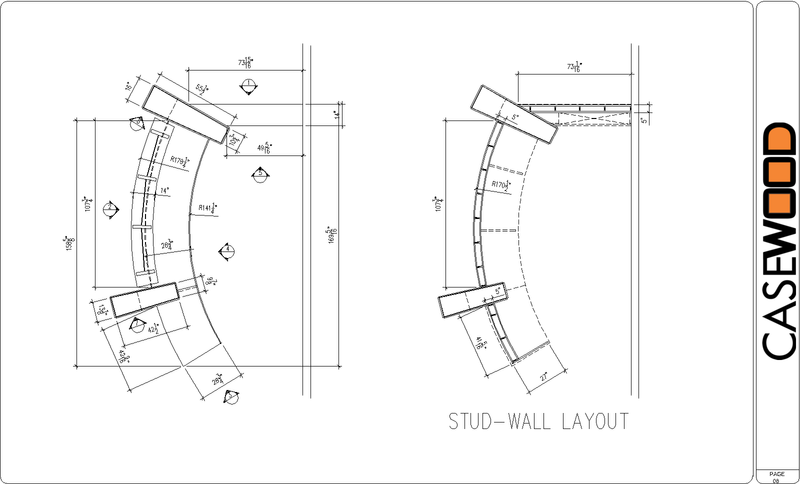 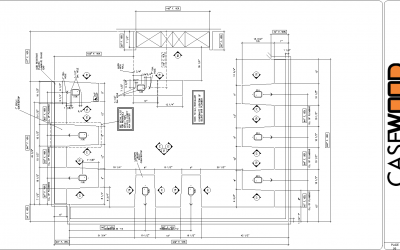 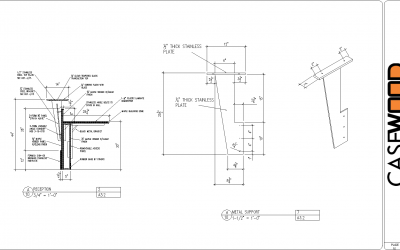 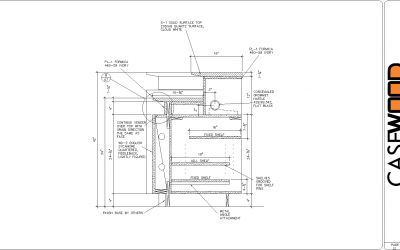 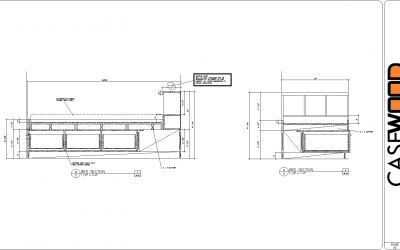 We pride ourselves on being able to provide manufacturers with their own design and drawing standards. 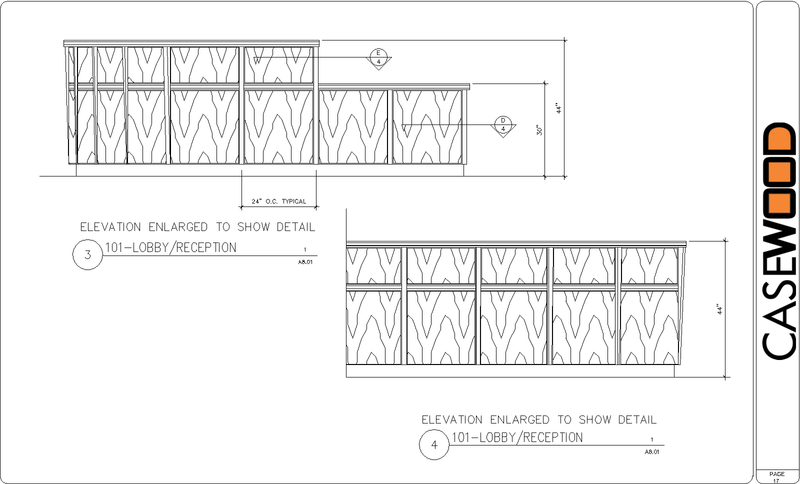 Casewood also has our own standards which we strive to make as universal as possible. 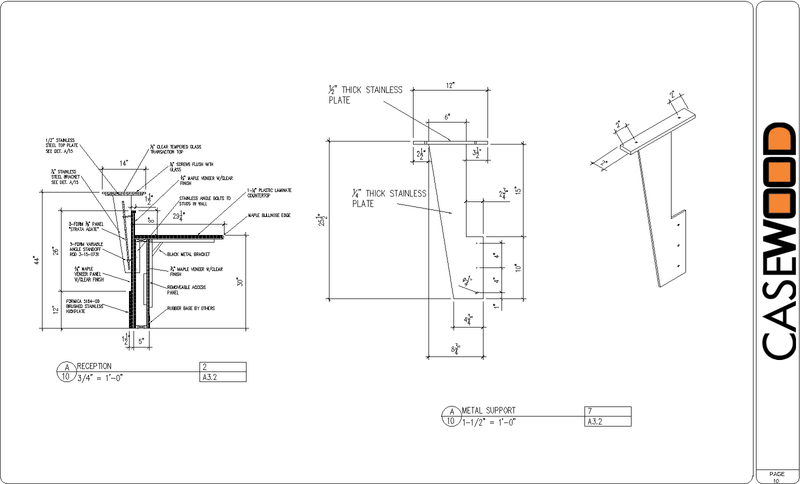 We can also work with you to create your own standards. 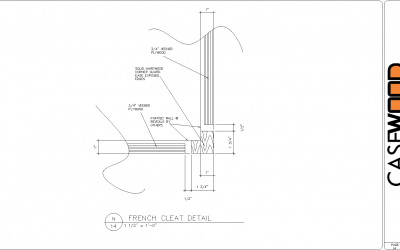 If you want a specific type of sample or more samples just contact us!